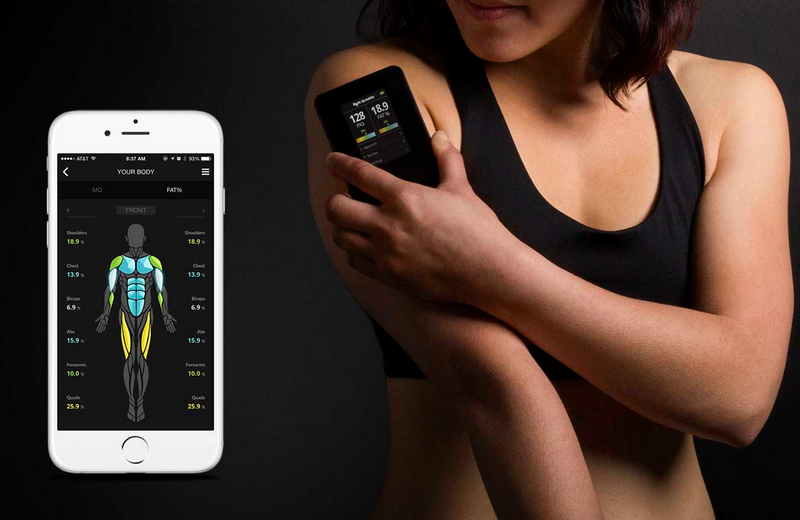 There's an app (and device) for tracking muscle development, growth and progress. Bonus: It's affordable. The old way of measuring your progress at the gym involved either tracking an increase of weight and reps, or just noticing visually that your body has changed. Sometimes a trainer will do a body composition test to measure your body fat percentage—if you can afford a trainer. For those who train solo or don’t have access to the machines used for accurate testing, there is a new way to measure your progress: Skulpt Aim. This little device is about to make a big difference in the way people approach fitness. The Skulpt Aim uses a weak current, measuring the flow as the current moves through the skin, subcutaneous fat and muscle. The technology then allows it to identify muscle quality from the amount of fat in a certain region, giving you the Muscle Quality (MQ), or how lean, strong and fit your muscle is, and the Body Fat Percentage of an area. What makes this device even more useful is the fact that it gives you these numbers for twelve different regions on each side of your body—front and back. You can use this information to see where your body fat is located and target specific muscles to improve their quality. The device is no bigger than an iPhone. Once charged, you download the compatible app to your phone and sync with the device, follow the instructions to measure specific muscles, wet the back of the device with the provided spray bottle and place on the muscle being measured. The Skulpt Aim does the rest. Compatible for up to six different users, the device’s $200 price tag is reasonable; it can easily be used between a workout or running group for as little as $33 each—the equivalent to a tank of gas. 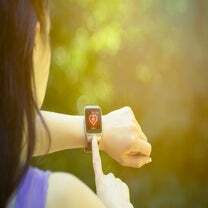 This device is eye opening and may cause a bit of a shock upon first use, but the amount of data and information you are able to collect from it and use to your own fitness benefit, all from your own home, is revolutionary. The Skulpt Aim will put the power of science behind all of your workouts. I Don’t Want To Share My Fitbit Stats With Friends—Is That Weird?